Roadside stand featuring homegrown and local produce in the Anderson Valley, along Highway 128 , 2 1/2 miles west of Philo, and 8 miles from Boonville. Mendocino and Fort Bragg are just 30-45 minutes away. Family owned property since the early 1900's. 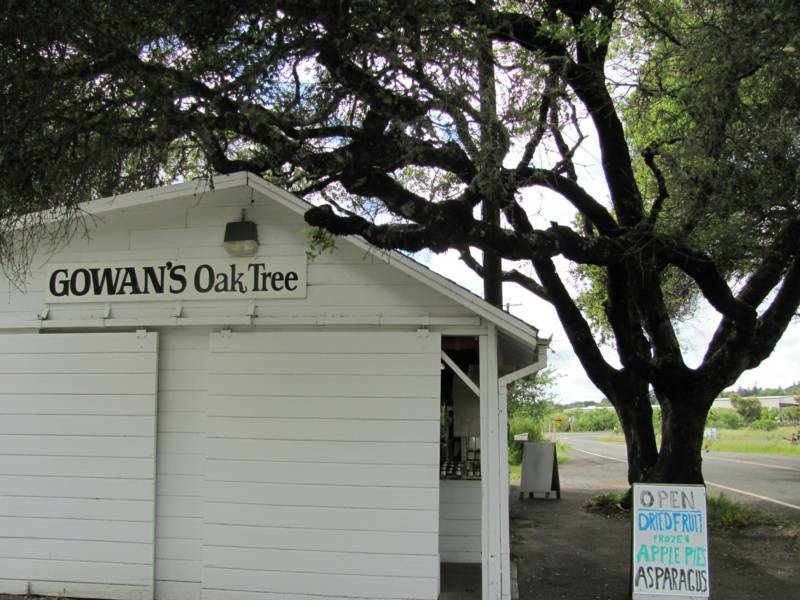 The fruit stand first opened in the 1930's when Grandma Gowan would sit under the oak tree and sell apples. The original building, still standing and added on to, was built in 1950. Now featuring 65 varieties of apples, plus pears, peaches, plums, berries, and a 25 acre vegetable garden. Many customers make it a family tradition to visit Gowan's. Some stay at the nearby park, Hendy's Woods State Park. Others stop when passing through on their way to the coast. They especially enjoy the cold apple cider and dried apples that are available year-round.